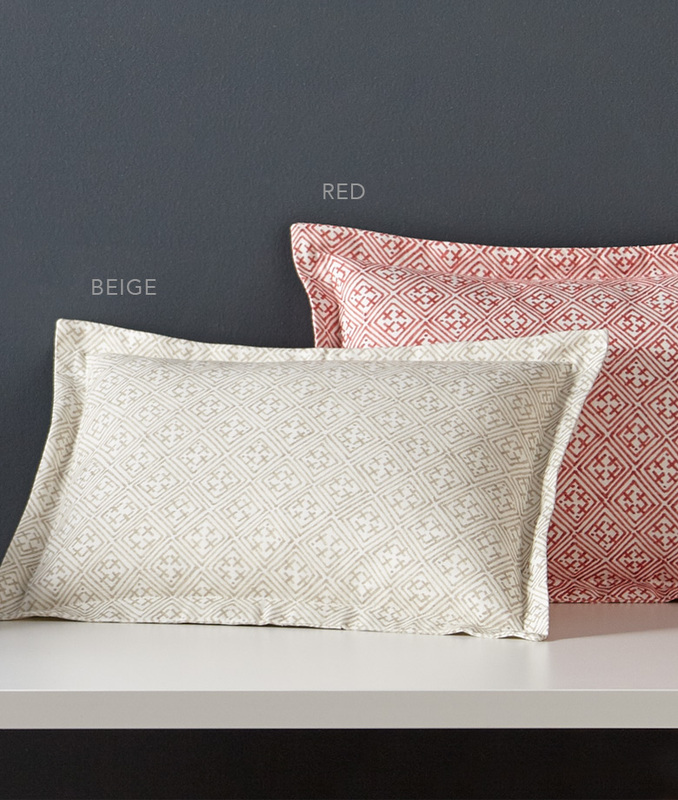 Aldith is a combination of subtle English styling and fresh repeated pattern. Available in four colors: Blue, Aqua, Grey (shown) and Red (see FABRICS below). Laos, a third coordinate, is shown in Euros, Boudoir Pillow and Bed Skirt. See alternate photo for Macbeth pillow. Click here to view the entire Macbeth Collection. Coverlet is Coventry Matelasse Antique White. 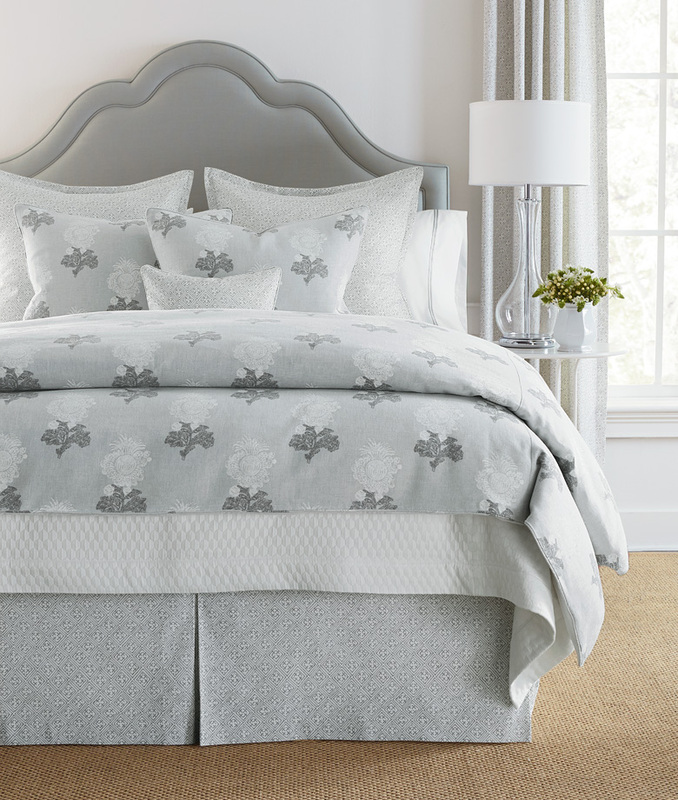 Sheets are Percale Antique White Satin Stitch II with Platinum.